Rail experts say an automated safety system already in place in Europe, but stalled in the U.S. despite a Congressional mandate, probably could have prevented a speeding commuter train from flying off the tracks while rounding a bend last weekend in New York City, killing four passengers and injuring 63 others. Though the official cause of the Dec. 1 accident in the Bronx has not yet been determined, investigators do know that the Metro-North train was traveling 82 miles per hour on a curve restricted to speeds of 30 miles per hour – precisely the kind of dangerous situation that the new technology, known as positive train control, is designed to prevent. But the system is expensive – its nationwide price tag may be as high $8 billion – and the rail industry has been pushing for a five-year reprieve from the December 2015 deadline set by Congress. If positive train control had been in place last weekend on Metro-North’s Hudson River Line, sensors on the track would have registered the train’s excessive speed and sent an urgent signal to the locomotive, which would have slowed down the train automatically, even if the driver was not paying attention. While equipment failure hasn’t been ruled out as a possible cause of the crash, news reports this week said driver inattention was the main theory being pursued by investigators. “If the problem is due to driver inattention or other driver-related problem, then positive train control would have been effective,” said Allan Zarembski, a railroad safety expert at the University of Delaware. Government investigators have echoed this possibility in press briefings this week. “It’s possible that (positive train control) could have prevented it,” Earl Weener of the National Transportation Safety Board told reporters. Metro-North had only just begun to install the positive train control (PTC) system, part of a nationwide effort driven by a law Congress passed after an even worse train disaster, in California in 2008. In that case, a conductor on a Metrolink train leaving Chatsworth, a town north of Los Angeles, was too busy texting to pay attention to the track and ran head-on into an oncoming train, killing 25 people and injuring over 100. No one disputes that PTC will ultimately save lives — and already would have, had it been installed earlier. In fact, the technology could have prevented 25 accidents in the past decade according to the National Transportation Safety Board, which has long had the technology on its wish list of legislative priorities. “It is possible to be able to go back with hindsight and say PTC probably would have prevented these derailments,” said Zarembski. Last year, 656 accidents or incidents were caused by human error on American railroads — more than by signal and track defects combined. PTC can prevent those errors from becoming dangerous because it uses track sensors and on-board computers to pinpoint a train’s position. If an engineer fails to apply the brake or switch tracks at an intersection, the train automatically slows to a stop. The technology can also detect hazards on the track long before an engineer could spot them. Shortly after the Chatsworth collision in 2008, Congress passed a law requiring 37 railroads operating on 63,000 miles of track to install PTC by the end of 2015. But three of the four major freight carriers and “most” of seven commuter lines in a recent report by the U.S. Government Accountability Office don’t expect to meet that deadline. That’s why a Senate bill introduced in August would grant railroads a five-year grace period until 2020 to work out the kinks. The Metropolitan Transportation Authority in New York planned to start construction for positive train control on Metro-North this winter. They had estimated the final cost at $187 million, the bulk of which was to come next year. That’s part of the challenge — this technology isn’t cheap. Congress initially pledged $250 million to help the process along, but has only made $50 million available to date. The technology will cost closer to $8 billion nationwide, according to the Association of American Railroads, not counting ongoing maintenance. “We just simply can’t afford it,” Alaska Railroad Corp. chief executive Chris Aandnesen said in a presentation last May, calling it an “unfunded federal mandate” despite receiving some federal funding and technical support to install PTC on 350 miles of track. There are technical hurdles, too. The new systems must be coordinated across rail companies that share tracks. Each must first get approval from the Federal Communications Commission to install antennas for wireless signals to communicate between track and train. Railroads also need an FCC license to broadcast on a particular frequency. Zarembski likens the scale of this effort to the industry-wide conversion from steam to diesel locomotives in the mid-1900s. The Federal Railroad Administration ( FRA) even wants Congress to allow carriers to miss the 2015 deadline, admitting that it would prevent an inevitable backlog of inspections within the agency, which must approve railroad plan prior to implementation. Whether the FRA will stick to that position after the Metro-North crash – the worst in 2013 in the U.S. – is still unknown. Despite the cost and complexities, most railroads are taking steps to try to meet the deadline. California’s Metrolink, the company responsible for that deadly wreck in Chatsworth, is particularly eager and has gotten $210.9 million from federal, state and local grants. They’re on track to install PTC by mid-2014. 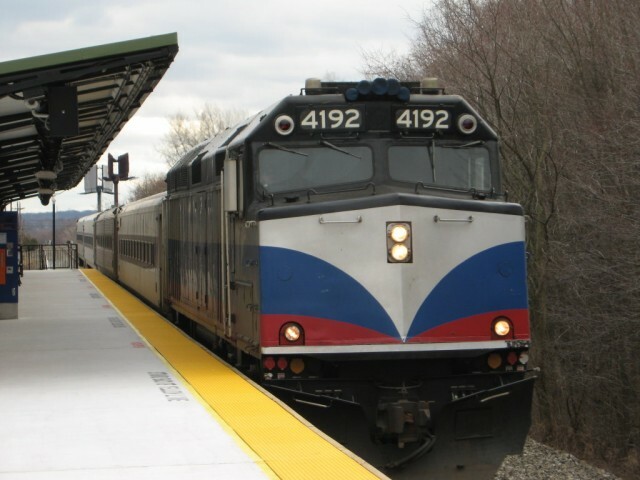 Another major commuter railroad, New Jersey Transit, will soon begin beta testing its system, which is costing $225 million in state funds. “We’re working toward it,” said Paul Stangas, lead engineer for New Jersey Transit. The five-year deadline extension was proposed in August in a bill by Republican Sen. John Thune of South Dakota and is now being considered by the Senate Commerce Committee. The bill would also grant the FRA authority to give one-year extensions on a case-by-case basis beyond 2020. Rail advocates proposed a similar clause as part of a 2012 transportation bill, but it was removed before that bill became law. The only other place where a similar system is being implemented on a large scale is Europe, which suffers from a polyglot of signaling systems but has already installed automated control technology on 2,500 miles of track and is in the process of installing another 2,500 miles. The U.S. system must cover more than 12 times as much track, and is far more expensive. Despite the cost, however, the push to postpone the 2015 installation deadline may lose momentum in Congress in light of the Metro-North tragedy, according to Zarembski. “If it turns out that this particular derailment was driver-related, I certainly expect the pressure to be on for positive train control,” he said. Amy Nordrum is a science writer who has published in Scientific American, Popular Mechanics, The Atlantic, InsideClimate News, Psychology Today, Men’s Journal, and American Cowboy. She was previously based in Alaska and holds a bachelor’s degree in journalism from Ohio University. Amy is currently completing here fifth NYC-based media internship with Scientific American. super nice article, I did’t know that the US was also thinking about installing PTC like in Europe! However, one thing I think I’d like to point out between the two systems: The PTC in Europe, the European Train Control System (ETCS) is currently only installed on ~2,500 miles of the high speed train tracks, which are inter city connections of a speed between 124 and 200 mph (http://goo.gl/LaLIhw), only a part of the total railway system. The US definition of ‘high speed rail’ are inter city services that typically operate with a speed up to 110 mph (http://goo.gl/zjUqmZ). So while the US-defined ‘high-speed’ tracks may be 12 times more in total length than the European-defined ‘high-speed’ tracks, they are not comparable.